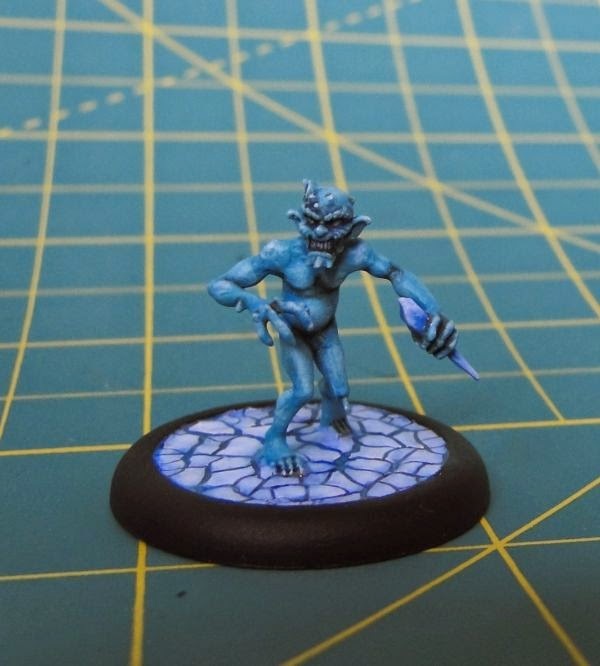 Here's the first minion from Rasputina's crew - Ice Gamin. I painted this one as a sample model to try out a color scheme for the rest of the Children of December. I used cold colors with a light touch of brown in the recesses and black around the eyes to add a little depth. It also took me a while to get the technique of making cracked ice down. I had two attempts that were not satisfactory but that changed when I stopped using drybrush technique. I'm really pleased with the effect. I haven't used Agrellan Earth before and now I can see that this technical paint has great potential. If I had known it works so well, I would have used it on the bases of Ortegas instead of buying resin ones. So, once again, props to AnythingBut for sharing this method on the Wyrd forum. I modified the method slightly as I started by applying a solid layer of LGS to the bottom to make sure that once Agrellan Earth dries and cracks, the ice is on the same level as the rim of the base. I've also applied two layers of Vallejo Still Water effect for the glossy look. I painted the icicle he's holding to match the color of cracked ice. In the box artwork it's all the same shade of light blue but I thought some variety will work well here. 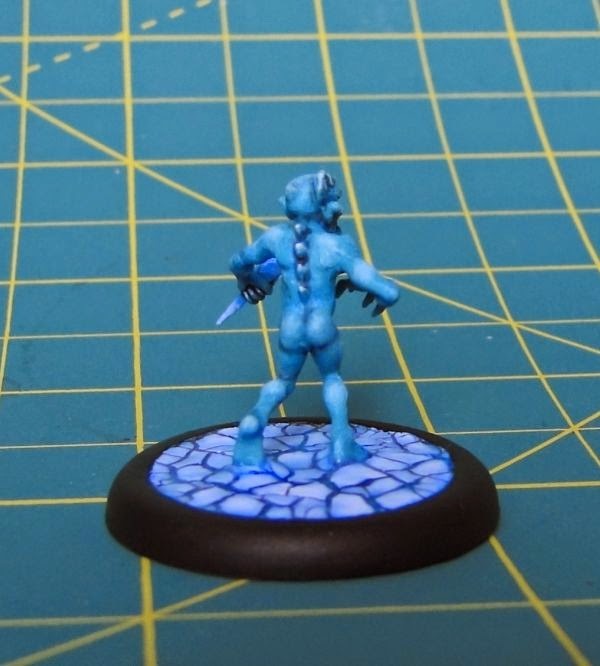 I'm pretty happy with the result on this one so I'm going to use the same color scheme and type of base for the rest of the crew (at least for the two remaining Ice Gains and the Golem). Painting the Golem will be a bit tedious as he's a large one and this color requires numerous layers of highlights but I loook forward to working on it anyway.